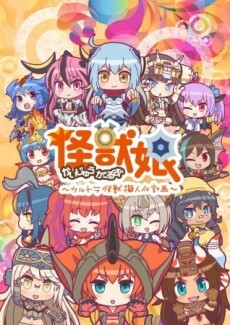 Season of Kaijuu Girls: Ultra Kaijuu Gijinka Keikaku, a show that transforms kaijuu (monsters) from the Ultraman live-action special-effects series into cute, female anthropomorphised monsters. Episode 1 - We're Kaiju Girls?! Episode 2 - Transform? Kaiju Girls!? Episode 3 - Transform! Kaiju Girls!? Episode 4 - Hand Them Out! Kaiju Girls! ?